Four ribs ensure even wear and comfortable riding. Spid zig-zag rib helps improve traction on wet and muddy surface. 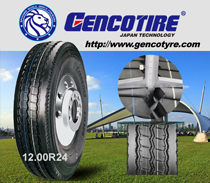 Deep circumferential grooves imporoves efficient water evacuation ,lateral stability and long tire life.